Our goal is to assist you in seeing your child reach his/her fullest potential. Our curriculum is designed to teach your child TaeKwonDo step-by-step and to help them become a Black Belt. Through disciplined practice, your child’s confidence and self-esteem will grow with their pride of accomplishment. Our instructors are superb and their classes are exciting, challenging, and fun! You can’t help notice the smiles on the children’s faces as they learn and spar with other children in their age group and ability range! 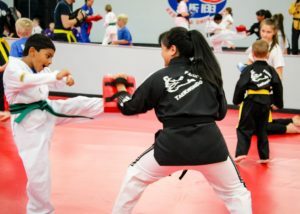 Parents respond that after enrolling their child with Park’s TKD, there is a dramatic improvement in concentration, self-control, improved self-discipline, and respect for elders, both at home and at school. At Park’s TKD, your child will be tested as an individual and receive personal attention and encouragement in a safe and caring environment. Every child is a winner at Park’s TaeKwonDo! We believe that TaeKwonDo is for everyone and for every age, not just a few athletically gifted individuals or only for the young. You may want to consider TKD lessons for yourself. 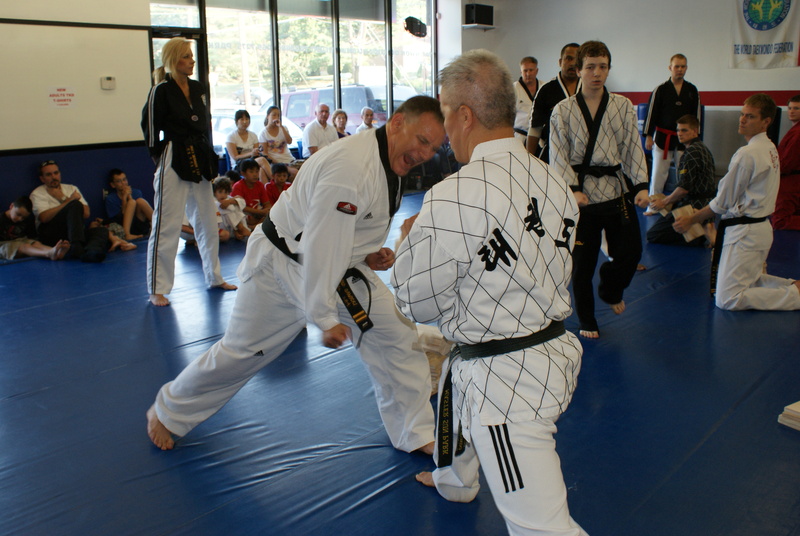 In addition to self defense, TKD lessons will increase your flexibility, strength, stamina and coordination. Regular participation will bring a spring to your step, improve you health and mood. Enjoying board breaking — even well into one’s 50’s. If you have a child taking TKD, sharing the learning of TKD is a wonderful and rewarding experience. The entire family can benefit together by enjoying this very exciting, healthy and stimulating activity.